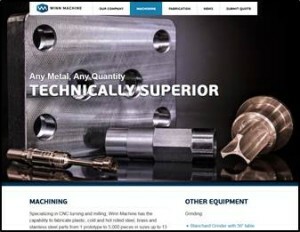 Winn Machine, in La Porte, Indiana, is a precision machining and fabrication firm serving major manufacturing OEMs across the region. To demonstrate their commitment to quality, the firm sought ISO 9001 certification. Many of the necessary practices were in place, but the company needed outside assistance to make sure they were following all practices and documentation. “It was an investment of time and resources for us to get the entire system in place, but we gained a lot from the experience,” commented Dina Gasaway, co-owner of Winn. Having the certification is helping the firm stand out as best-in-class when meeting new customers. “GLTAAC funds were very helpful in getting this done. We were able to move faster and could focus our time and energy working on the project,” remarked Dina.